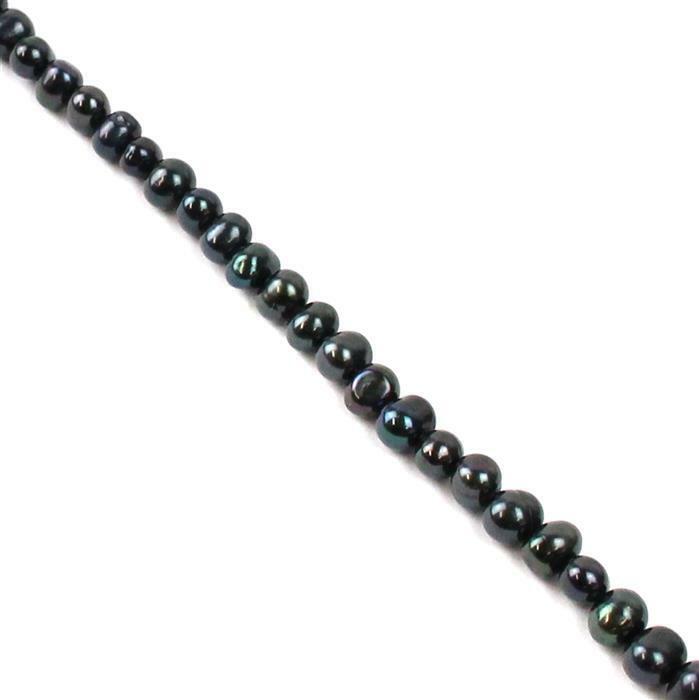 Use this strand of Freshwater Cultured Potato Pearls to create beautiful designs. Smaller than I thought but still fab. not black, but a very deep green/grey ! lovely shaped delicate pearls that go beautifully with other sea colour themed gems.